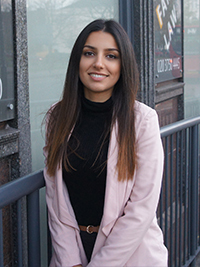 Dilara joined Miya Solicitors as a paralegal in 2017 having completed her LLB Law at University of Westminster and then completed her LPC degree in 2017 at University of Law. Dilara has been most recently supporting the Immigration department where she continues to build her knowledge in Immigration Law. She also assists our family department and she enjoys both areas of Law. Previously joining Miya Solicitors Dilara worked as a conveyancing paralegal.